San Antonio-The PBR Finals is later this month in Las Vegas and the riders that are on the “bubble” are making great efforts in attempt to attend as either a qualifier or alternate. Three of such cowboys were entered in Y-100’s presentation of the PBR at Cowboys Dancehall on Saturday, October 11th: Ben Jones, Budd Williamson and Kaique Pacheco de Oliveira. All three were able to collect some valuable points for qualified rides, but only Williamson and de Oliveira were able to make it to the pay widow on the night. 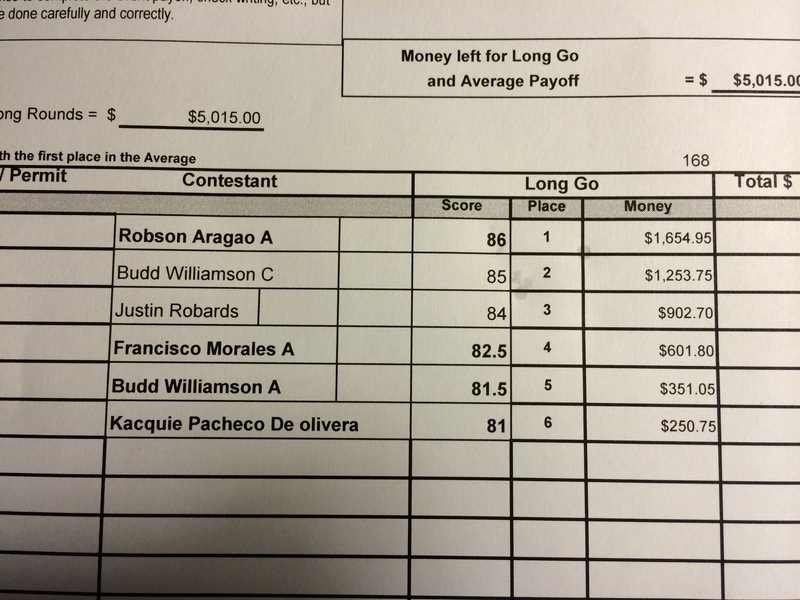 Brazilian rider, Robson Aragao aka “Spiderman,” took the event title with an 86 point ride on 311 “I’m a Panda Too.” Aragao’s efforts garnered him a championship buckle as well as $1,654.95. The Aussie, Williamson, was entered three times at the event and posted scores on two of three attempts. Williamson marked 85 points on 263 “Freaky Friday” and 81.5 points on R351 “Get a ‘Holt On” for second and and fifth place finishes that earned him a combined $1,604.80. There aren’t many more opportunities remaining for “bubble” riders to earn points for a 2014 PBR Finals berth. Next weekend’s Riding in the Rock in Little Rock, Arkansas is the sole Touring Pro event that remains in the 2014 season and at the Built Ford Tough Level the only event yet to transpire is the Monster Energy Bulls on the Beach event at Huntington Beach, California. For the fans, this last minute drama is exciting to watch-for the riders, this is likely a time of great stress and anxiety as they try to earn their Finals Contestant Jacket. 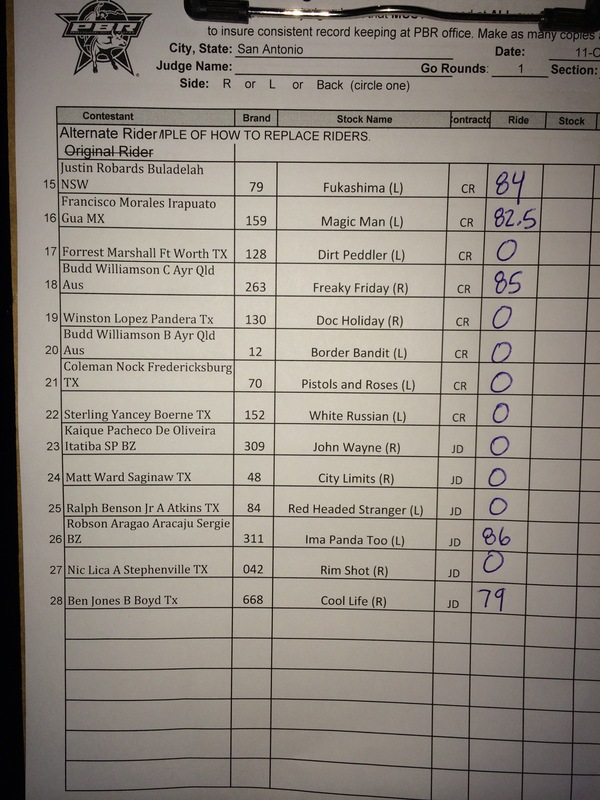 Competition Note: The entire payout was to international riders-not a single domestic entry earned money at Y-100’s presentation of the PBR at Cowboys Dancehall on Saturday, October 11, 2014. 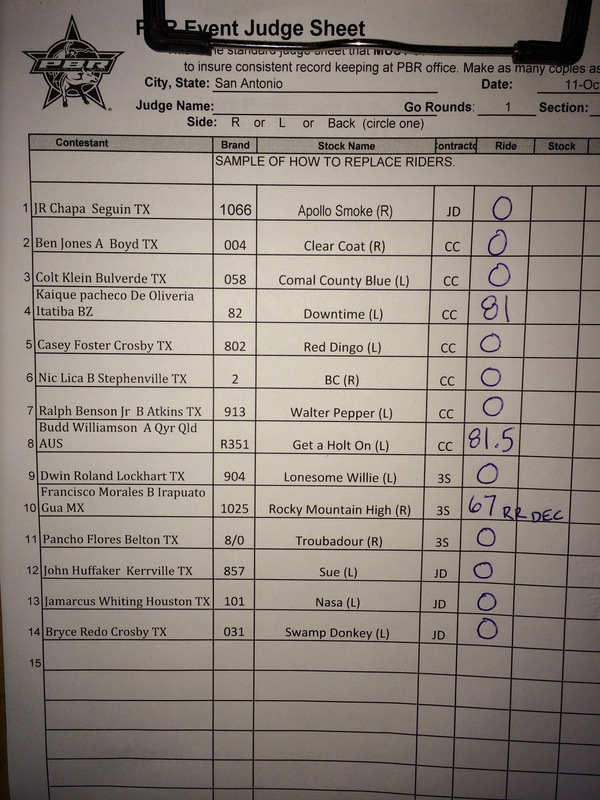 !Next PBR at Cowboys Dancehall – Saturday, November 15, 2014! Also, mark your calendar for the $10,000 added money Luke Snyder Invitational to be held at Cowboys Dancehall on December 13, 2014. Luke Snyder and PBR Ring of Honor Member Ross Coleman will be in attendance-along with many other PBR standouts! This entry was posted in Bull Riding, PBR. Bookmark the permalink.